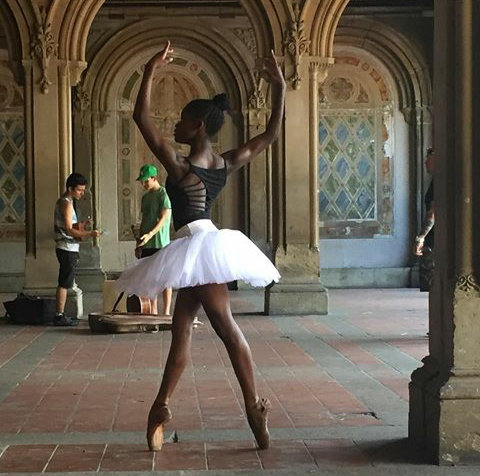 Perfectionist is a weekly series featuring dancers from all over the world. My inspiration comes from knowing that so many people before me have worked so hard to open doors and make things easier for me. My role models are Debbie Allen, Misty Copeland, Ingrid Silva, Ashley Mayeux and Daphne Lee. They are a few people that inspire me. When I hear confidence I really hear that anything that I want is possible as long as I believe in myself. Girls my age should follow their destiny. Find people that inspire and encourage you. Believe that if you work hard, anything is possible. The best part of dancing is being able to express art through movement. I can express myself without speaking. My advice to young girls starting out is to work hard ans stay focused. Do not be afraid to sacrifice for your dreams. Follow your destiny! Destiny you have grown into a strong and determined young lady. We love you. Keep striving. Destiny, you are such a grounded and determined young lady. I am so proud of you. I love you. Keep striving. You are greatness.